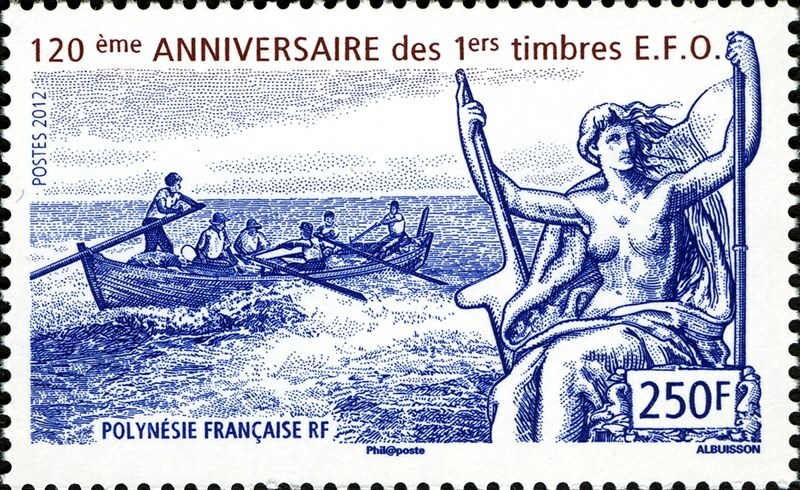 For the 120th anniversary of the “French Settlements in Oceania” stamps, French Polynesia issued two stamps in 2012. One of this stamps shows what I believe is a whale boat as used by the Yankee whalers, and a scarcely clad lady, which is designed after the first French Oceania stamp. 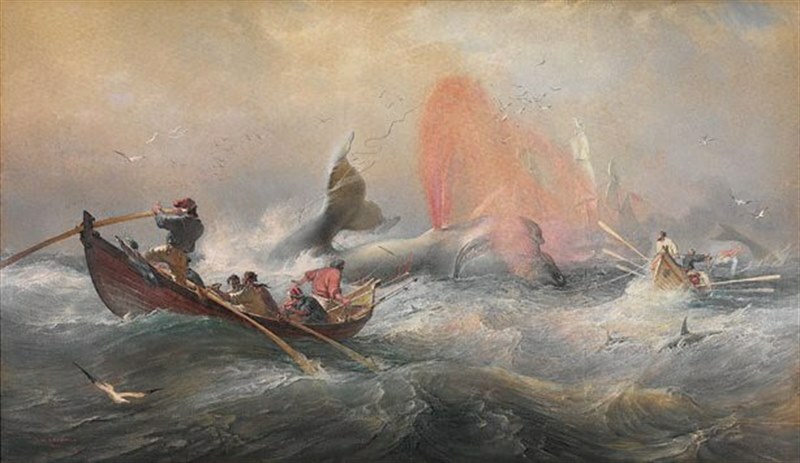 Whaling in the waters around French Polynesia was carried out first by Yankee whalers and the first Yankee whalers arrived in the Pacific waters around 1790. A whaleboat is a small sharp-ended open boat and used for harpooning whales, were carried on whaling ships or sometimes also used from shore whaling stations. Mainly rowed. Long steering oar for close maneuvering. Various length up to 9 metre. Before 1900 not many whales were killed in the waters of French Polynesia, mostly the whaler made calls at the islands for water and provision. Most of the whale killing took place in the 20th century. The waters of French Polynesia an area half of the USA are now a sanctuary for whales. Whale watching is a booming tourist attraction on the islands during the migration season of the whales. French Polynesia 2012 250F sg?, scott?